Know someone with an antwacky stem-winder? Heard the Band of Hope Street? Ever been on a vinegar trip? Do you jangle? Ever met a Cunard yank in the Dingle? Could you pay for a dodger with a joey? Have you heard a maccyowler in a jigger? 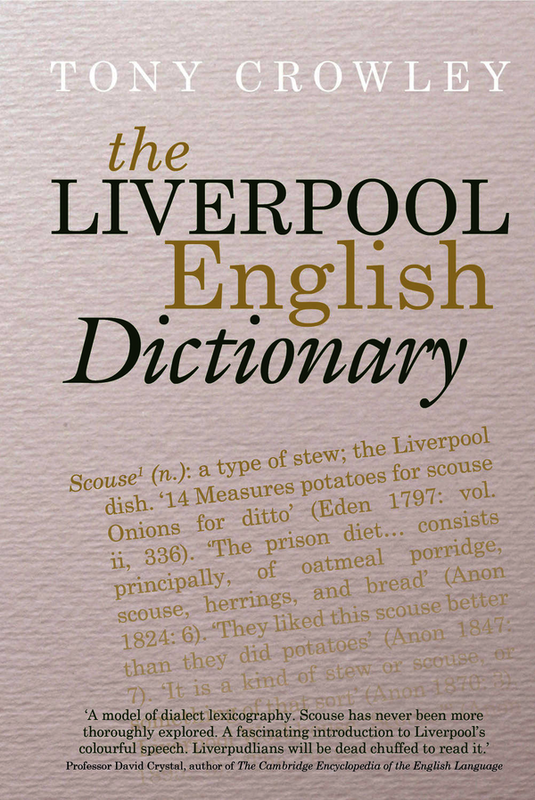 The Liverpool English Dictionary records the rich vocabulary that has evolved over the past century and a half, as part of the complex, stratified, multi-faceted and changing culture of this singular city. With over 2,000 entries from ‘Abbadabba’ to ‘Z-Cars’, the roots/routes, meanings and histories of the words of Liverpool are presented in a concise, clear and accessible format. Born and bred in Liverpool, Professor Tony Crowley has spent over thirty years compiling this bold and innovative dictionary, investigating historical lexicons, sociological studies, works of history, local newspapers, popular cultural representations, and, most importantly, the extensive ‘lost’ literature of the city. Illuminating, often remarkable, and always enjoyable, this book transforms our understanding of the history of language in Liverpool. David Crystal, Honorary Professor of Linguistics, University of Bangor, and author of The Cambridge Encyclopedia of the English Language (Cambridge University Press, 1995, 2003) and The Disappearing Dictionary: A Treasury of Lost English Language Dialect Words (Macmillan, 2015).